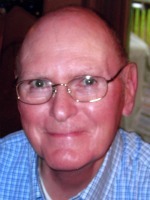 David R. Coburn of Portage, Michigan, beloved husband and father passed away Thursday, October 21, 2010, at his home. David was born September 2, 1952 in Allegan to Beverly O. ‘Cobe’ and Ruth Ann (Clawson) Coburn. He was a graduate of Otsego High School, had earned his Master Degree from Central Michigan University and another Master Degree from Western Michigan University. For many years he was employed with the Calhoun County Department of Social Services, retiring in September, 2008. In his leisure time he enjoyed his camping group, traveling to visit lighthouses, gardening, gaming, writing poetry, and reading. David loved learning and was working on another degree. On August 9, 1974, in Otsego he married the former Teri Pirrone, who survives. Also surviving are his children, James David Coburn of Portage and Crysta Kay Coburn of Ann Arbor; a granddaughter, Meghan Fleck of Florida; his father, Cobe Coburn of Otsego; his brother, Ken (Toni) Coburn of Gobles; an aunt, Louise Pettit of Alamo; several aunts, uncles and cousins. David was preceded in death by his mother, Ruth Ann Coburn, in 2006. Friends may meet with his family from 2 to 4 and 6 to 8 P.M. Sunday at the Winkel Funeral Home, Otsego where funeral services will be held at 1:30 P.M. Monday, Pastor Stephen J. Burrow officiating. Burial at Mountain Home Cemetery, Otsego, will follow. In lieu of flowers, contributions in memory of David may be made to Hospice Care of Southwest Michigan. 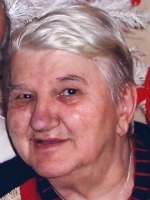 Bernice M. “Bea” Wood of Otsego, Michigan, went home to be with her Lord Thursday, October 21, 2010. Mrs. Wood was born January 24, 1923, in Kalamazoo to Carl and Statta (Phillips) Branch and was a lifelong resident of the area. A 1941 graduate of Otsego High School, for many years she had been employed with Kalamazoo Tank & Silo, Menasha Corp., Otsego Public Schools and Otsego Machine Shop. She had also served as township treasurer for Otsego Township. Bea was an active member of the First Baptist Church of Otsego where she sang in the choir. On October 5, 1946, in Otsego she was married to Don Wood, who died in 2003. Also preceding her in death were her brother, Wilbur Branch; her sisters, Mildred Fales and Irene Bostater; and a nephew, Dale Fales. Surviving are a daughter and a son, Wendy (Malcolm) Stafford of Otsego and Doug (Johanne LeBlanc) Wood of Seattle, WA; seven grandchildren, Sarah (Jason) Greene, Mark (Janet) Stafford, Ellen (Timothy) Luebbert, Amanda (Jean Richard) Blekes Nadohou, Daniel Stafford, Sophia Wood and Emily Wood; great-grandchildren, Caelan Stafford, Mia Stafford, Calista Stafford, Evan Luebbert, Karenna Luebbert and Elijah Luebbert; nieces and nephews, Doris (Terry) Hopkins, Wayne Branch, Gerald (Carolyn) Branch, Harold “Jim” (Sharon) Fales and Linda (Herman) Watson. Bea’s family will receive friends from 1 to 3 P.M. Sunday at the Winkel Funeral Home, Otsego. Funeral services will be held at 10:00 A.M. Monday at the First Baptist Church of Otsego, Pastor Merlyn Jones officiating. Burial will be at Mountain Home Cemetery, Otsego. Contributions in memory of Bea may be made to the Allegan County Medical Care Community. 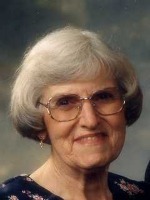 Melvena M. Metcalf of Kalamazoo, Michigan, passed away Wednesday, October 20, 2010, in Kalamazoo. Mrs. Metcalf was born May 15, 1924, in Chicago, IL to Charles and Katherine (Lawrence) Dumas and was a lifelong resident of the area. Melvena was a graduate of Otsego High School and had been employed with Parker Hannifin Corporation, retiring after over 10 years service. She was a member of St. Margaret Catholic Church of Otsego. In 1941 she married Vernon Metcalf, who died in 2009. Also preceding her in death were a brother, Lawrence Dumas, and a sister Lovella Goodwin. Surviving are her daughter and son-in-law, Barbara and Daniel Palazuk of Traverse City; a sister, Katheryn Hughes; several nieces and nephews. Friends may meet her family beginning at 10:00 A.M. Monday at St. Margaret Catholic Church, Otsego where Mass of Christian Burial will be celebrated at 11:00 A.M., Rev. Fr. Donald P. Klingler, Celebrant. Burial will be at St. Margaret Cemetery, Otsego. Contributions in memory of Melvena may be made to Hospice Care of Southwest Michigan. Winkel Funeral Home, Otsego. Patricia A. Powers of Otsego, Michigan passed away Tuesday, October 12, 2010 at her home. Patricia was born January 5, 1936 in Freemont, MI, the daughter of Harvey and Alta (Eaton) Townes. Patricia enjoyed playing darts, garage sales and collecting cows. On December 31, 1955 in Allegan she married Don Powers who survives. Also surviving are her children, Linda VandenBosch of Plainwell, Rex Powers of Texas and Eugene Powers of Otsego; 8 grandchildren; 8 great-grandchildren; 2 sisters, Idabelle Becker and Sue Jager. Patricia was preceded in death by her parents and 4 brothers and 2 sisters. Friends may meet her family from 2-4 and 6-8 P.M. Sunday at the Winkel Funeral Home, Otsego, where services will be held Monday at 11:00 A.M. with Pastor Mike Risner officiating and the Women of the Moose. Burial will follow at Mountain Home Cemetery, Otsego. Contributions in memory of Patricia may be made to Moose Heart/Moose Haven. 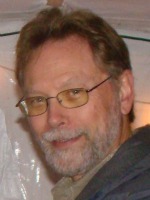 Bennard David ‘Dave’ Pickett of Otsego, Michigan, passed away Saturday, October 9, 2010 in Kalamazoo. Mr. Pickett was born July 25, 1937 in Kalamazoo to Clifton and Evelyn (Preston) Pickett and was a lifelong resident of the area. Dave was a 1957 graduate of Otsego High School and for 26 years was employed as a millwright with General Motors Corp. In his leisure time he loved camping, traveling, and following the Detroit Lions and Detroit Tigers. Above all, Dave loved his family. On June 6, 1959 in Otsego he married the former Ellen Ort, who survives. Also surviving are four children, Deborah Pickett of Phoenix, AZ, Craig Pickett of Allegan, Todd (Lynn) Pickett of Pittsburg, PA and Amy (Don) Murdock of Otsego; five grandchildren, Jennifer Dickson, Kimberly Dickson, Matthew Murdock, Nathan Murdock and Jacob Pickett; a sister, Alma (Jim) Bradshaw of Grand Rapids; several nieces and nephews; and a grand-dog, Winston. Preceding him in death were his parents and a brother, Raymond Pritchett. Friends may meet Dave’s family from 2 to 4 and 7 to 9 P.M. Wednesday at the Winkel Funeral Home, Otsego, where funeral services will be held at 1:00 P.M. Thursday, with funeral celebrant Bill Rose officiating. Burial will follow at Mountain Home Cemetery, Otsego. Contributions in memory of Dave may be made to the American Heart Association. John Gregory (Greg) Nulty, father of Jacque Drobny (Jim) Commissaris, Dan (Mary) Nulty, Terri (Bert) Cooper; Grandfather of Chad (Sally) Drobny, Marni Drobny (Mike) Owens, Matthew (Kelli) Drobny; Dana Nulty (Mike) Beals, Nicole Nulty (Keith) Vale, Tara Nulty (Andy) Callaghan, TG (Corin) Nulty; Kristen Cooper (Michael) Haines, Kathleen Cooper (Steven) Verduzco, Elizabeth Cooper (Benjamin) Simon; Great Grandfather of Carly and Erica Drobny, Abigail and Emma Owens, Morgan and Chase Drobny; Lindsay and Delaney Beals, Grant, Monique and Vincent Vale, Charlize and George Gregory Nulty; Kasey and Anna Haines, Will, Sara, Nicholas and David Verduzco, Meg and Kate Simon; his sister, Mary Elizabeth (Betty) Host; eight nieces and nephews; Carmen and Lyndon Cronen and their children, Maria, Monique and Bryan and families; Jamie, Jamielynne, Trevor and Teagan Commissaris. Greg was preceded in death by his beloved wife of 69 years, Maureen, his brother, William, his parents, John Thomas and Ellen Mary (Molly), and granddaughter, Desa Nulty. 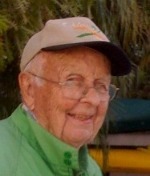 Greg was born February 24, 1915 in Caledonia, MI and passed away October 1, 2010. The oldest of the three Nulty children, he was very proud of his 100 percent Irish heritage. He graduated from Grand Rapids Catholic Central High School in 1932 and Grand Rapids Junior College (now Aquinas) in 1934. Greg was very proud that his mother, son and daughter all attended his alma mater. Greg began his business career working in a grocery store in Grand Rapids with his future father-in-law where he met his bride-to-be, Maureen Herbig. On May 6, 1940, Greg and Maureen were married in Otsego. They were the fourth couple to be married at St. Margaret’s Church and were active members. They began married life in Plainwell and had operated a small grocery store, The Food Center. In 1945, Greg and Maureen moved to Otsego and started a successful real estate and insurance business, The Nulty Agency. Greg retired from insurance sales in 1979 and from real estate in 2004. He was the chairman of the Allegan County Board of Supervisors, the last remaining charter member of the Otsego Lions’ Club, a life member of Otsego Elks and a member since 1944 of the Knights of Columbus. Greg’s home town of Otsego was important to him, his friends were near, his family closer. Friends may meet Greg’s family on Monday from 2:00-4:00 P.M. and 6:30-8:30 P.M. at the Winkel Funeral Home, Otsego, where a time of sharing memories will begin at 8:00 P.M. followed by the Rosary at 8:30 P.M. Mass of Christian Burial will be held 11:00 A.M. Tuesday at St. Margaret’s Church, Rev. Fr. Donald P. Klingler and Rev. Fr. Bob Flickenger officiating. Burial will follow at St. Margaret Cemetery. Memorial contributions may be made to the Otsego Public Library, St. Margaret’s School or Otsego Area Historical Society. 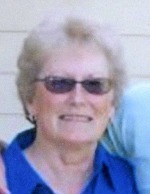 Judy M. Kruithoff of Otsego, Michigan, passed away Friday, October 1, 2010, at Rose Arbor Hospice. Judy was born February 8, 1950, in Billings, Montana. For over 10 years she was employed with Otsego Public Schools as a bus driver. In her leisure time she loved flower gardening and motorcycle touring with her husband. She also enjoyed horseback riding. Judy loved her children and grandchildren more than anything. In 1976 in Billings, MT she married Tom Kruithoff, who survives. Also surviving are her children, Scott (Lisa) Kruithoff of Denver, CO, Jodi Cook and Leah Darrow, both of Kalamazoo and Cy (Becky) Kruithoff of Homer, AK; six grandchildren, Katie, Jackson, Ali, Riley, Robert and Lilly; her sister, Frances (Gary) Eslinger; her brother, Jim (Jean) Sells; several nieces and nephews. Judy was preceded in death by her father, Jim Sells; mother, Marjorie (Cross) Sells; step-mother Alvina (Hendrickson) Sells; mother-in-law, Ann Kruithoff; and a brother, Rick Hendrickson. Friends may meet her family from 5 to 8 P.M. Tuesday at the Winkel Funeral Home, Otsego, where services will be held Wednesday at 1:00 P.M. Cremation will follow. Contributions in memory of Judy may be made to Rose Arbor Hospice Residence.